Cycling is a great way to stay active and you don’t have to be a seasoned biker to go on a cycling holiday. It can be as easy or as challenging as you want and there are so many amazing destinations just waiting to be discovered on bike. 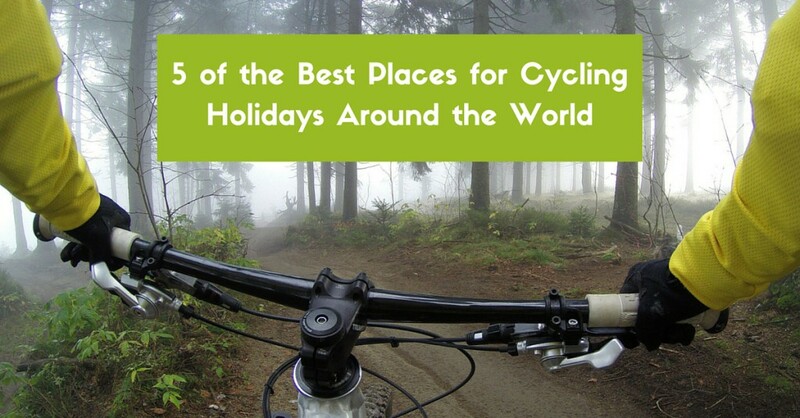 Here are 5 of the best places for cycling holidays around the world, tried and tested by us. We love cycling in Burgundy because many of our Burgundy cycling routes are designed for foodies and wine connoisseurs who are in search of an unforgettable gastronomical experience. For instance, a 3 day route from Dijon to Chagny will give you the perfect taster of the region’s vineyards and restaurants. Starting in Dijon, “the city of 100 bell towers”, you will get to kick start your journey with some fantastic tasting opportunities; be sure to try specialities such as the local mustard, the gingerbread and the Nonette pastries. Home to beautiful Barcelona and Dali’s birth-town Figueres is the region of Catalonia, one of the most distinct and unique destinations in Spain. Cycle to the heart of Catalonia to find the spectacular wine region of Emporda, visit the birthplace of Dali and discover The Dali Theatre and Museum, see the Gallo-Roman remains near Sant Mari de Empuries, or head further north to see the 3,000 metre peaks of the Pyrenees. Wherever your journey takes you, there’s plenty to see and do. The resort town of Siem Reap makes a great base for family holidays to Cambodia. Here, you will find plenty of fantastic hotels with top facilities to make your stay as comfortable and convenient as possible – and you will be at close proximity to the breath-taking Angkor Wat temples. Cycling is the best way to see the temples for sure and we would recommend a few days in this area to really experience its magic and history. If you’re after an extended cycling challenge, spend 10 days cycling from Angkor to Cambodia’s bustling capital, Phnom Penh (suitable for 16+), riding through Phnom Kulen’s countryside and jungle area. The whole of France is well known for its chateaux but we particularly love spending time cycling in the Loire Valley and we believe that you’ll fall head over heels with this region too. The ‘Loire a Velo’ cycling route is around 800 kilometres in length, going through 6 departements and will literally take you from chateau to chateau. 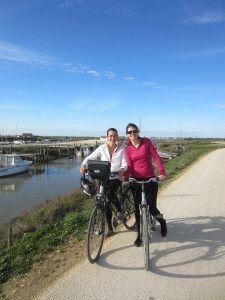 It’s been cited as the best cycling trail in France by so many travel writers and bloggers and if you love history and romance, this is highly recommended. The stunning city of Konstanz is just the start in this cycling adventure. Take our 12 day cycling tour around Lake Constance and explore the sights, sounds and smells of Germany, Austria and Switzerland in one roundtrip. This cycling route is very easy, making it perfect for beginners and you’ll get to enjoy the most spectacular scenery, from flawless lake views to the striking Swiss Alps as a backdrop.